This has proven to be a very fast maturing variety. 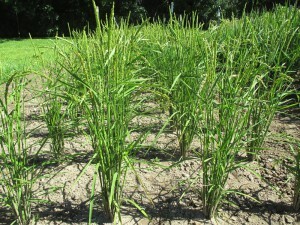 It is a paddy rice (lowland variety) from northern Japan. 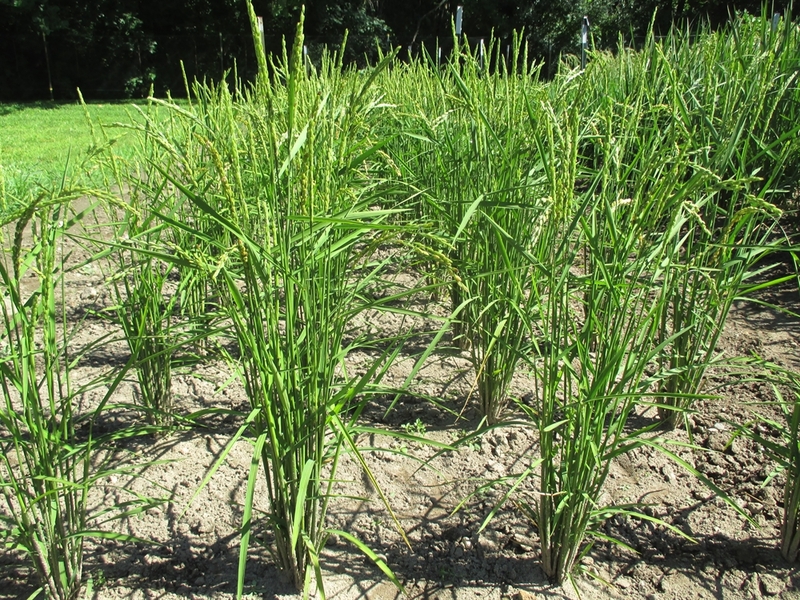 Hayayuki is a short grain, brown rice that can be grown as an upland variety if grown in an area where the soil stays moist throughout the season, otherwise you will want to water 2 – 3 times per week. This is what I did, given the soil in the area I planted was a sandy loam. Hayayuki is cold tolerant and can be grown in a Zone 4. I harvested 97 days from transplanting in late May. The yields were good but not as heavy as “traditional” upland varieties. I believe Hayayuki would yield better if grown in a flooded paddy. Very short in stature, especially when grown as an upland variety. Hayakuki does not provide a lot of shade, so frequent cultivation is required to keep weed pressure under control.